Arpeggio Practice – from Brown, p. 7. Trying to get from that C# on 2 to that F# on 1. I can do it using the tape on the cello or some form of visual inspection. 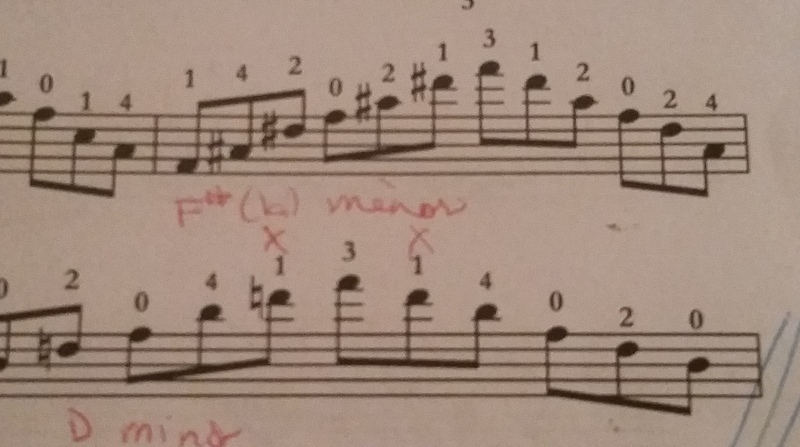 The interval is a perfect fourth, so I should be able to work it out aurally. But right now, it does not feel automatic or natural. Feels like I’m guessing every time. I’ll work it out, but this is the problem I’m working on now.